The command of Jesus continues to find partial fulfillment in the missionary work of the Maronite Church: "Go into the whole world and proclaim the gospel to every creature.” (Mk 16:15) Today there are millions of Maronite Catholics throughout the world. The Patriarch, in communion with the Pope of Rome, resides in Bkerke, Lebanon, with a summer residence in Dimane. Eparchies: Argentina, Australia, Brazil, Canada, Cyprus, Egypt and Sudan, Holy Land and Jordan, Lebanon (13), Mexico and Venezuela, Syria (3), United States (2). In Europe: Belgium, England, France, Germany, Holland, Italy, Sweden, Switzerland. In Africa: South Africa, Ivory Coast, Senegal, Sierra Leone, Benin, Burkina Faso, Ghana, Tago, Nigeria. 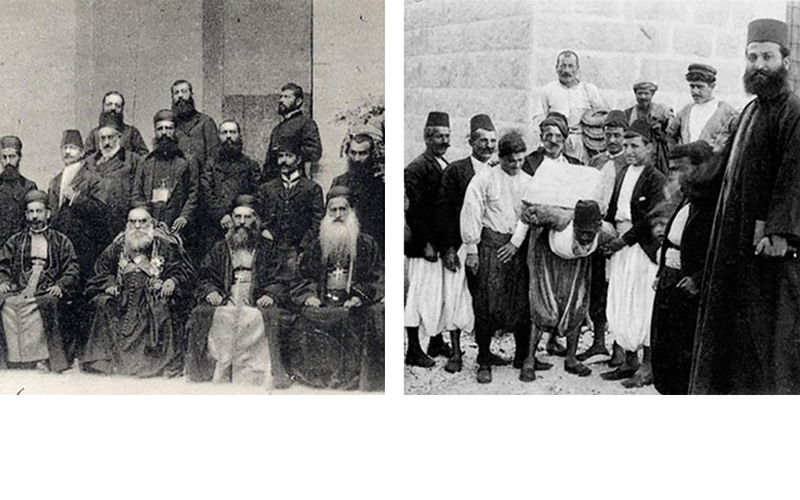 Seminaries: Ain Saade, Ghazir and Karm Sadde in Lebanon; Washington, DC in the United States; Maronite religious orders and communities have houses of formation in Rome and in Lebanon. The Maronite College in Rome houses student priests who seek advance degrees.